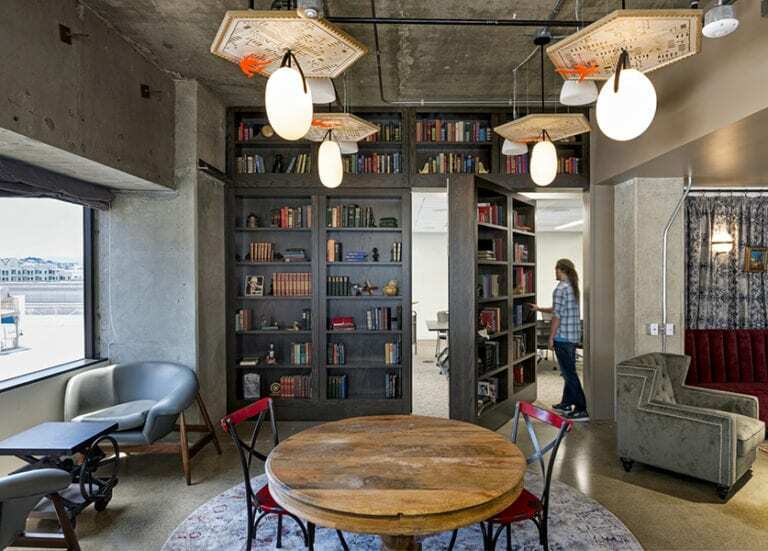 AN AMENITY-RICH AND MOBILE WORK ENVIRONMENT CONNECTS SOFTWARE ENGINEERS AND TECHNOLOGISTS TO SAN FRANCISCO CULTURE BY WAY OF THE OFFICE. Bird Houses at Capital One in San Francisco. Photo by Jasper Sanidad. 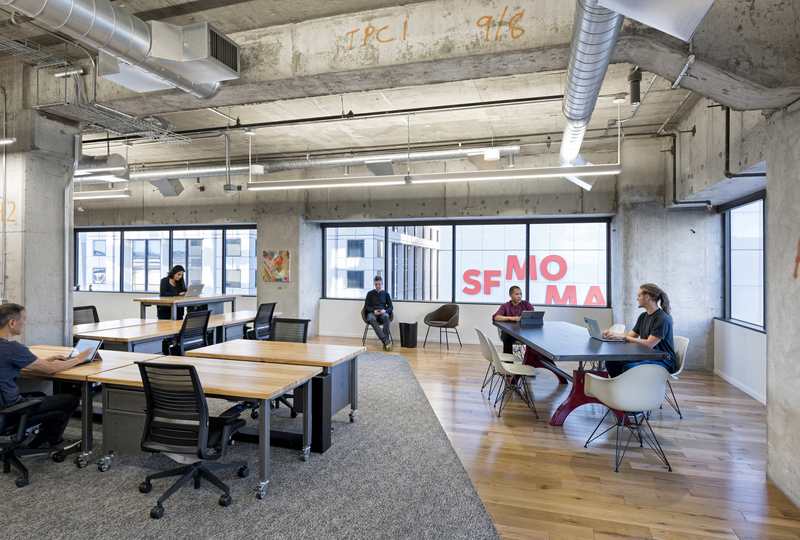 In the heart of San Francisco’s South of Market neighborhood are three new, IA-designed floors for Capital One, including its new digital space. To create a home for technology teams, IA designed a spatial experience that supports experimentation, innovation, whimsy, and maker culture. 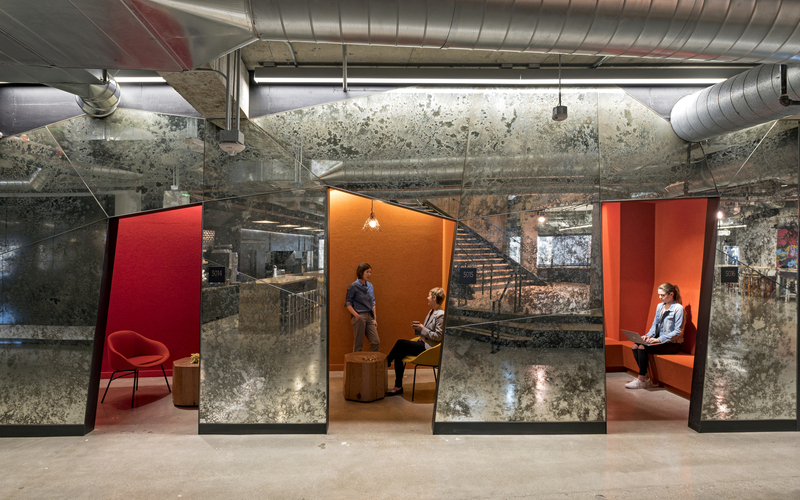 The architectural design exposes the building’s raw concrete structure, setting a tone for transparency that carries into the interior’s new open office and integrated meeting rooms. 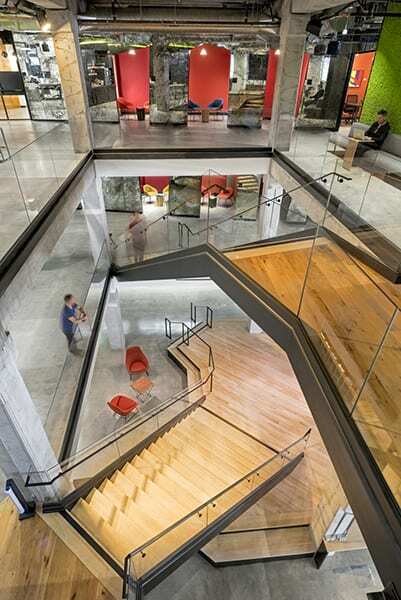 The three-story, interstitial stair at Capital One in San Francisco. Photo by Jasper Sanidad. For the multi-floor office, connecting different user groups was critical. The design team inserted a three story, interstitial stair to facilitate both physical and visual connection. This centralized communicating stair establishes the heart of the space, grounded by a platform base that doubles as a stage for all-hands presentations. Adjacent to the full-staff meeting area, a food-truck-inspired café punctuated with found furniture expands function and nods to San Francisco’s mobile dining culture. Beside the central stair, a tree house provides a variety of rooms for small meetings, rest, conversation, or an observation onto the café below. A food-truck-inspired café at Capital One in San Francisco. Photo by Jasper Sanidad. 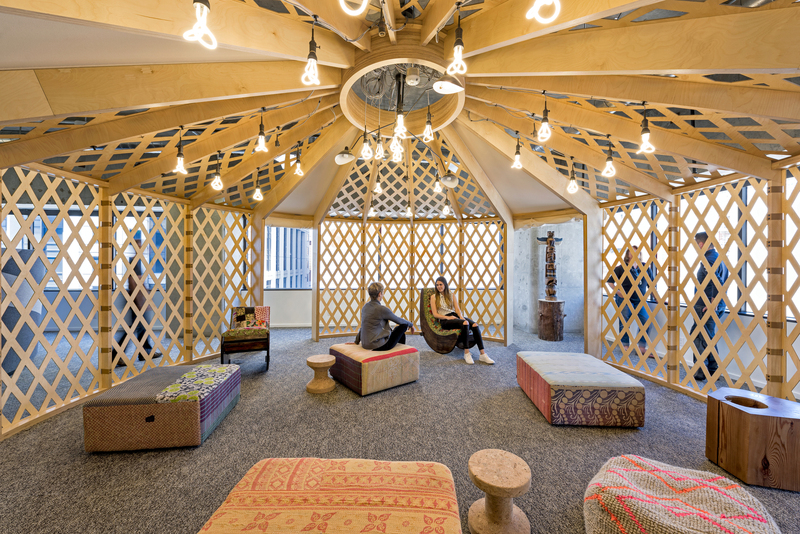 Custom-milled yurts at Capital One in San Francisco. Photo by Jasper Sanidad. The mobile work environment at Capital One in San Francisco. Photo by Jasper Sanidad. The Secret Lounge at Capital One in San Francisco. Photo by Jasper Sanidad. 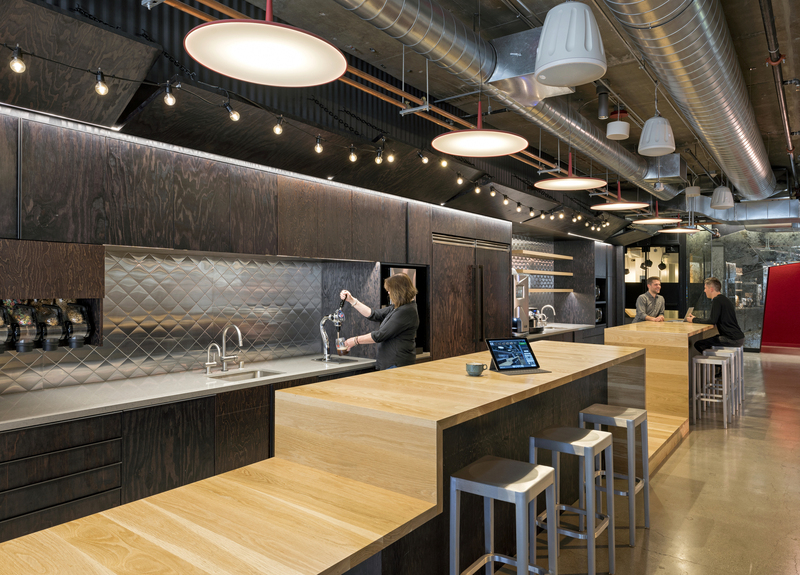 Click below to learn more about the Maker Movement, one of the design trends that influenced the design of the Capital One office. What do bird houses, yurts, and food trucks have in common? They can all be found at the Capital One office in San Francisco's South of Market neighborhood!